Critical Path was the last of Buckminster Fuller's books, published shortly before his death in 1983 and summing up his lifetime of work. 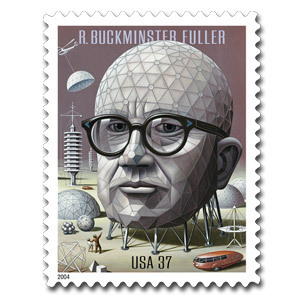 Buckminster "Bucky" Fuller was an American architect, author, designer, futurist, inventor and visionary who devoted his life to answering the question "Does humanity have a chance to survive lastingly and successfully on planet Earth, and if so, how?". He is frequently referred to as a genius (albeit a slightly eccentric one). During his lifelong experiment, Fuller wrote 29 books, coining terms such as "Spaceship Earth", "ephemeralization" and "synergetics". He also developed and contributed to a number of inventions inventions, the best known being the geodesic dome. Carbon molecules known as fullerenes (buckyballs) were so named due to their resemblance to geodesic spheres. Bucky was awarded the Presidential Medal of Freedom by Ronald Reagan in 1981. Humanity is moving ever deeper into crisis - a crisis without precedent. Humanity's cosmic-energy income account consists entirely of our gravity-and star (99 percent Sun)-distributed cosmic dividends of water power, tidal power, wave power, wind power, vegetation-produced alcohols, methane gas, vulcanism, and so on. Humanity's present rate of total energy consumption amounts to only one four-millionth of one percent of the rate of its energy income. Critical Path covers a wide range of topics, ranging from an unorthodox history of human development since the dawn of recorded history to his views on the purpose of humanity, a review of how Wall Street lawyers undid the New Deal, a history of his own personal development and 'self disciplines", discussions of some of his key ideas like the "geoscope" and the "world game", a chronology of scientific discoveries and artifacts and finally his recipe (critical path) for solving our key problems. As one reviewer noted Bucky's writing style is pretty unusual and takes some getting used to - "Critical Path has many of the hallmarks of so-called "crackpot literature": unorthodox punctuation (massive, annoying hyphenation), strange language (overuse of the prefix "omni-"; humans referred to as "Earthians"), an impossibly broad scope, and noticeable hubris because the author is sure that he has all the answers". Another reviewer at Amazon exhorts people to "Do yourself a favor and become familiar with this friendly genius". Critical Path is a summation of a life devoted to the betterment of all humanity and based on the premise that one individual can make a difference if he or she takes care of the things that need to be done. Through our combined learnings and accumulated metaphysical know-how, humanity has reached a point where we can all do whatever it was we were doing before we had to earn a living. Unless of course the "pirates" of capital, aka "The Grunch" cheat us of our rightful inheritance. Critical Path is about the evolution of know-how from the beginning of humanity to the present. Fuller charts out where we came from, the accelerating advance of learning, the ephemeralization of tools and technology and where we go from here. He also charts out where the "pirates" came from and how they maintain their grip on things. Indeed I was surprised at how candid Bucky's comments are in this regard. It's as if he somehow got inside the inner clique and is reporting its machinations to the rest of us. Read it and see! Bucky was aware of the limitations and problems posed by our use of fossil fuels for energy, and (like M King Hubbert) believed that we could and should use technology to become vastly more efficient in our energy use and to harness other, renewable, forms of energy. Bucky believed in a transformation of our economic and political systems, via what he called a "design science revolution", which will result in the "conversion of all humanity into an integrated, omniharmonious, economically successful, one-world family", rather than the confrontational political action favoured by other would be transformers of society of his era. Weighing only fifty-five pounds, with a wingspan of ninety-six feet, the human-powered Gossamer Albatross was able to fly across the English Channel because the structural materials of which it was built were many times tensilely stronger than an equal weight of the highest-strength aircraft aluminum. The tensile strengths of the Albatross's structural materials were sixty times stronger per equivalent weight than the strongest structural materials available to Leonardo da Vinci for realizing the design of his proposed human-powered flying machine. The Albatross's high-strength carbon-fiber and Mylar materials were all developed only a short time ago since World War II. Continuing to attempt to fit our late-twentieth-century astronautical man-on-Moon-visiting capability into a nineteenth- century horse- and- buggy street pattern, house-to-house-yoo-hooing life-style (and a land baron racket) is so inefficient that the overall design of humanity's present social, economic, and political structuring and the physical technology it uses wastes ninety-five out of every 100 units of the energy it consumes. (Our automobiles' reciprocating engines are only 15-percent efficient, whereas turbines are 30 percent, jet engines 60 percent, and fuel cells used by astronauts 80 percent.) In the United States, throughout all twenty-four hours of every day of the year-year after year - we have an average of two million automobiles standing in front of red stoplights with their engines going, the energy for which amounts to that generated by the full efforts of 200 million horses being completely wasted as they jump up and down going nowhere. Environment-controlling buildings gain or lose their energy as "heat or cool" only through their containing surfaces. Spheres contain the most volume with the least surface - i.e., have the least possible surface-to-volume ratio. Every time we double the diameter of a spherical structure, we increase its contained atmosphere eightfold and its enclosing surface only fourfold. When doubling the diameter of our sphere, we are not changing the size of the contained molecules of atmosphere. Therefore, every time we double a spherical structure's diameter, we halve the amount of enclosing surface through which an interior molecule of atmosphere can gain or lose energy as "heat or cool." Flat slabs have a high surface-to-volume ratio, and so flat slab fins make good air-cooling motorcycle and light-airplane engines. Tubes have the highest surface-to-volume ratios. Triangular- or square-sectioned tubes have higher surface-to-volume ratios than have round-sectioned tubes. Tall slab buildings and vertical, square-sectioned, tubular-tower skyscrapers have the maximum possible energy (as heat or cool)- losing capability. One two-mile-diameter dome enclosing all the mid-Manhattan buildings between Twenty-second and Sixty-second streets and between the Hudson and East rivers, having a surface that is only one eighty-fourth that of all the buildings now standing in that midtown area, would reduce the heating and cooling energy requirements of that area eighty-four-fold. The human pedal-powered airplane and the communication satellite are only two out of hundreds of thousands of instances that can now be cited of the accomplishment of much greater performance with much less material. The inefficiency of automobiles' reciprocating engines - and their traffic-system-wasted fuel - and the energy inefficiency of today's buildings, are only two of hundreds of thousands of instances that can be cited of the design-avoidable energy wastage. But the technical raison d'etre for either the energy-effectiveness gains or losses is all completely invisible to human eyes. Thus, the significance of their omni-integratable potentialities is uncomprehended by either the world's leaders or the led. Bucky coined the term "ephemeralization" to describe the process of "progressively accomplishing more with less". He points out that over time, we get better at using materials in more sophisticated ways, and at discovering newer, better materials - and thus need smaller quantities of materials to achieve particular goals. One example used by Bucky was the two years Magellan took to sail around the planet in a wooden sailing ship in 1520. 350 years later it took a steel steamship two months. 75 years later a metal plane took 2 weeks to fly around the planet. 35 years later a space capsule, made of exotic metals, takes 1 hour to circle the planet. Bucky points out that not only can we do more with less, but the rate of "doing-more-with-less-ness" is increasing - there is an acceleration taking place. One area of research that Bucky would have been involved in if he was still around was the field of nanotechnology - in particular carbon nanotubes, which some groups are trying to turn into "buckpaper", which is ten times lighter but potentially 500 times stronger than steel when sheets of it are stacked and pressed together to form a composite. Bucky is probably best known for the development and popularisation of the geodesic dome –light-weight, strong and cost-effective structures. Bucky was enthusiastic about domes because they enable habitats to be constructed which minimise the use of building materials and maximise the space enclosed. The geodesic dome is able to cover more space without internal supports than any other enclosure, and becomes proportionally lighter and stronger the larger it is. Domes can be erected very quickly from lightweight pieces by a small crew. Domes are also aerodynamic and can withstand considerable wind loads. Solar heating is possible by placing an arc of windows across the dome. Fuller is most famous for his 20-story dome housing the U.S. Pavilion at Montreal’s Expo ’67. Later, he documented the feasibility of a dome two miles in diameter that would enclose mid-town Manhattan in a temperature-controlled environment, and pay for itself within ten years from the savings of snow-removal costs alone. A number of iconic buildings have been built using geodesic domes in recent times, including at the Eden Project in Britain and the Epcot Center in the US. From a practical viewpoint, geodesic constructions have some drawbacks. They have a large number of edges in comparison with more conventional structures, each of which must be prevented from leaking. Spaces enclosed within curved boundaries also tend to be less usable than spaces enclosed within flat boundaries. Geodesic Domes weren't the only effort Bucky made to try and improve the quality and availability of housing, with The Dymaxion House and the Ole Man River City proposal for St Louis being some other examples. Bucky viewed Geodesic dome habitats as capable of becoming self-sustaining, with the dome capturing solar and wind energy both directly and via the production of biofuels from crops grown within, He also envisioned that water would be completely recycled, as would the wastes produced, by using them for fertiliser and to generate biogas. Bucky envisaged that a tool he called a "Geoscope" would enable people to both comprehend the state of the world and their position within it, and from there to assess both the problems facing the world and the solutions to them. The Geoscope is an electronic environment that shows the whole world and enables all manner of data regarding the past, present and future state of the world to be displayed on it, ranging from the weather, to population, to resource consumption, to the position of actual items. The giant globes Fuller imagined don't seem to have become a reality anywhere, but the combination of data on the internet and applications for making data available in a global context like NASA Worldwind and Google Earth (and its more recent Ocean and Sky companions) have brought the basic Geoscope vision tantalisingly close to reality. As we add more and more data into the available data sets - particularly relatively realtime information about the current state of the world should make for better analysis of how we are doing at solving problems. Energy data, for example, can be captured via smart meters and smart grids, with Google recently trying to prompt interest in a platform for making energy use data available online via their "PowerMeter" tool. Another (largely theoretical) area that has a lot of potential is Bruce Sterling's "Internet of things", which would be a useful building block for a world where everything is fully recycled. The most usefully informative model of the Geoscope now under consideration is a 200-foot-diameter, structurally gossamer, look-into-able and look-out-able, geodesic sphere to be suspended with its bottom 100 feet above ground by approximately invisible cables strung tautly from the tops of three remotely erected 200-foot-high masts. Bucky proposed a “great logistics game” and “world peace game” (later shortened to the “World Game”) that was intended to be a tool that would enable his "design revolution". Bucky viewed the "world" as the relevant unit of analysis when considering the solutions to our problems, and that "games" are something that are accessible to everyone, rather than just those interested in policy and/or power. The idea of the World Game is to make all relevant information about the world available to players, and for players to be able to disseminate their findings widely. The goal is to enable everyone to contribute to solving problems, and for the solutions to be widely vetted and a consensus on their implementation reached (versus the usual top-down approach of an elite few deciding policy and then implementing it). The World Game needs a comprehensive database that provides players with as good (or better) data than their government and business counterparts. This database needs to include an inventory of the world's resources (where everything is and in what quantities and qualities, from minerals to goods and services, to people and their needs and capabilities). Players also need an information source that monitors the current state of the world, bringing live news into the “game room” live. Bucky envisioned the World Game to be a place where people aimed to "Make the world work, for 100% of humanity, in the shortest possible time, through spontaneous cooperation, without ecological offense or the disadvantage of anyone". While none of this existed in any meaningful form in the 1960's when Bucky first proposed it, and initial implementations were clunky to say the least, over the last decade or so we've reached the point where most people (at least in the developed world) have good enough internet access that they could start to become "players" in the game (whether a formal online version of the game, or the rather more informal one the various arms of the blogosphere concerned with energy and sustainability have spontaneously created). World Game finds that wealth measures the degree to which humans have used their minds to discover scientific principles and have used those principles to invent artifacts and environment-controlling and -implementing, complex- artifact systems which, as powered only by daily energy income, can be demonstrably shown to be able to take care of given numbers of people for given numbers of forward days. "Taking care" of humans means to provide them with "pleasingly," healthily, satisfactorily stabilized environmental conditions under all of nature's known potential variables while adequately feeding them, giving them medical care, increasing their degrees of freedom, and increasing their technological options (see Operating Manual for Spaceship Earth). As already mentioned, World Game finds that the world's wealth and its medium of interchanges - ie. the world's monetary accounting systems - have been divorced from one another. Those bankers and insurance-company managements that have learned how they may legally employ to their own exclusive advantage the vast magnitudes of savings of real wealth deposited with them by those who have produced the wealth and who are quite unaware that those deposits are taken out of the bank and loaned out at swiftly increasing interest rates to others in such quantities as to underwrite the magnitude of purchasing, production, and sale of products that can be produced only by the involvements of such vast magnitudes of realwealth tokens, and may therefore overpower all wealth capabilities of any of the individual depositors of the savings-account deposits of the realwealth products. Bucky was the creator of the Dymaxion map and patented it in 1946. The Dymaxion Map is a projection of a world map onto the surface of a polyhedron, which can then be unfolded to a net in many different ways and flattened to form a two-dimensional map which retains most of the relative proportional integrity of the globe map. Bucky claimed his map had several advantages over other projections for world maps - it has less distortion of relative size of areas (particularly when compared to the Mercator projection) and less distortion of shapes of areas. The Dymaxion map has no "right way up". Bucky argues in "Critical Path" that in the universe there is no "up" and "down" or "north" and "south" - only "in" and "out", with "in" meaning 'towards the gravitational center' and "out", meaning "away from the gravitational center". The Dymaxion map doesn't have a single "correct" view. The triangular faces of the icosahedron can be peeled apart in different ways. One way results in an icosahedral net that shows an almost contiguous land mass comprising all of earth's continents - not groups of continents divided by oceans (this is the view generally used). Peeling the icosahedron apart in a different way presents a view of the world dominated by connected oceans surrounded by land, with Antarctica in the centre. Bucky was no fan of nationalism and viewed the nation state as a relic of the past ("operatively obsolete" as he put it), maintained to enable various elites to continue their privileged position via a strategy of divide-and-conquer, instead advocating a form of world government and an accounting system based on energy. With legal planning of their lawyer-advised banking leaders, the "haves" have now succeeded in cornering all the world's monetary gold as well as the preponderance of the world's petroleum resources - along with their refineries and world-around petro-delivery systems together also with acquisitions of all the atomic power-generating plants, originally paid for by the US taxpayers - and thereafter in severing the monetary system from the wealth system while marking up the negotiable equity value of gold and petroleum tenfold. They also have contrived their own game of international monetary banking of international balances of trade and credit accounting, greatly aided by the priorly established existence of 150 "sovereign" nations around planet Earth. That division of world political power into 150 sovereign nations is a consequence of thousands of years of successive and individually independent contriving of history's most powerful leaders. The number-one strategy of the successful leaders of history's successively established supreme socioeconomic control systems has always been to induce the spontaneous self-divisioning of those designed to be conquered and to keep them spontaneously self-dividing and their divisions lethally interarrayed against one another in order to keep them conquered. The longer the self-divisionings can be self-perpetuating, the more spontaneously are the divisions accepted institutionally by the successive generations as being "natural" divisions ... The prime vulnerabilities of humanity, which make it subject to spontaneous self-dividing, are those of different speech patterns, skin color, religions, social customs, class or caste systems, political preferences and all varieties of individually unique "troubles", suffering and discontent. The plotted curve of the rate of gain for increasing proportions of all humanity being thus swiftly advantaged by the doing more for more people with less and less matter and energy per function - all accomplished with computers, satellites, alloys, etc. 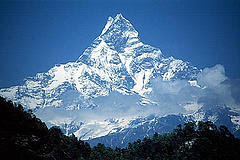 - indicates that 100 percent of all humanity will be thus advantaged before 2000 A.D. In less than twenty years (less than one generation) all humanity is scheduled by evolution (not by any world planning body) to become physically more successful and,metaphysically more interestingly occupied than have any humans ever been in all known history-provided that humanity does not commit ignorance-, fear-, and -panic-induced total-species suicide. Why might they panic? All the present bureaucracies of political governments, great religious organizations, and all big businesses find that physical success for all humanity would be devastating to the perpetuation of their ongoing activities. This is because all of them are founded on the premise of ameliorating individual cases while generally exploiting on behalf of their respective political, religious, or business organizations the condition of nowhere- nearly- enough-life-support-for-all and its resultant great human suffering and discontent. Reason number two for fear-wrought panic is because all of the 150 nations of our planet are about to be desovereignized by evolution; that is, they are about to become operatively obsolete - about to be given up altogether. There are millions in the U.S.A., for instance, who on discovery that their government was about to become bankrupt and defunct would become activist "patriots," and might get out their guns and start a Nazi movement, seeking dictatorially to reinstate the "good old days." If people in many of the 150 nations succeeded in re-establishing their sovereignties and all the customs-barrier, balance-of-trade shacklings, it would soon be discovered that the 150 nations represent 150 "blood clots" imperiling the free interflowing of the evolution-producing metals and products recirculation as well as of the popular technical know-how disseminating. We have today, in fact, 150 supreme admirals and only one ship - Spaceship Earth. We have the 150 admirals in their 150 staterooms each trying to run their respective stateroom as if it were a separate ship. We have the starboard side admirals' league trying to sink the port side admirals' league. If either is successful in careening the ship to drown the "enemy" side, the whole ship will be lost. Long ago the world's great religions learned how to become transnational or more effectively supranational. Next the world's great ideologies learned how to become supranational. Most recently the world's largest financial- enterprise corporations have become completely supranational in their operation. Big religion, ideologies, and businesses alike found it intolerable to operate only within 150 walled-in pens. Freeing themselves by graduating into supranational status, they have left all the people in the 150 pens to struggle with all the disadvantages of 150 mutually opposed economic policies. The European Economic Community is a local attempt to cope with this world problem. Bucky recommended the creation of a "global energy grid" as a step towards ending both the era of the nation state and our dependency on fossil fuels, and as a way of distributing renewable energy around the planet, dealing with the intermittency and availability problems suffered by solar and wind power in particular. It is engineeringly demonstrable that there is no known way to deliver energy safely from one part of the world to another in larger quantities and in swifter manner than by high-voltage-conducted `electricity.' For the first half of the twentieth century the limit-distance of technically practical deliverability of electricity was 350 miles. As a consequence of the post-World War II space program's employment and advancement of the invisible metallurgical, chemical, and electronics more-with-lessing technology, twenty-five years ago it became technically feasible and expedient to employ ultra-high-voltage and superconductivity, which can deliver electrical energy within a radial range of 1500 miles from the system's dynamo generators. To the World Game seminar of 1969 I presented my integrated, world-around, high-voltage electrical energy network concept. Employing the new 1500-mile transmission reach, this network made it technically feasible to span the Bering Straits to integrate the Alaskan U.S.A. and Canadian networks with Russia's grid, which had recently been extended eastward into northern Siberia and Kamchatka to harness with hydroelectric dams the several powerful northwardly flowing rivers of northeasternmost U.S.S.R. This proposed network would interlink the daylight half of the world with the nighttime half. Bucky's research led him to conclude that humanity could satisfy 100% of its energy needs while phasing out fossil fuels and nuclear power. In one example, he calculated that a wind turbine fitted to every high-voltage transmission tower in the US could generate three-and-a-half times the country’s total power output at the time. Bucky also noted that population growth and use of electricity are inversely correlated - the greater use a society makes of electrical power, the lower its birthrate becomes. This relationship is the basis of the theory that part of the solution to the problem of expanding populations exceeding the planet's carrying capacity is to make people richer - thereby lowering birthrates to the point where the global population will stabilise. In Critical Path, Bucky cites Francois de Chardenedes' view that petroleum, from the standpoint of its replacement cost out of our current energy "budget" (essentially incoming solar radiation), had cost nature "over a million dollars" per U.S. gallon (US$300,000/L) to produce. From this point of view its use as a transportation fuel by people commuting to work represents a huge net loss compared to their earnings. Instead, Bucky suggests people should be paid to stay at home in many cases, with jobs that produce useful goods and services being awarded to those talented and motivated enough to do them well and, more generally, people performing perhaps a decade of national service before retiring to a life of leisure to make sure all necessary work is done. Bucky viewed pollution as an unnecessary evil, noting that nature doesn't produce any pollution and recycles all wastes - a theme that has continued to be developed in more recent years, via the "cradle to cradle" manufacturing and "biomimicry" movements. It is a fact that we can now technologically recover and sort out the valuable chemistries in all the chimney-escaping or sluiceway-escaping 'wastes,' which, though unwanted by the local manufacturers, are necessary chemical-element components in the overall syntropic success of eternal regeneration of Universe. Nature has no pollutions--it has very valuable chemistries that function only under special conditions, so the critical path strategy is to get all the money-maker-unwanted chemistries shunted into all their syntropically functioning routes. Pollution is simply energy--in the form of unfamiliar matter--which the timing of omniregenerative cosmic system cannot immediately use but must use later. Bucky viewed the nuclear power industry with a fair degree of loathing, viewing it as an industry that had been paid for with vast sums of taxpayer money that had then been handed over to private sector interests without any compensation to those who had funded it. He viewed nuclear power advocates as being interested in maintaining a centralised, scarcity based model for energy generation compared to the model of abundant, distributed energy generation using renewable sources that he viewed as an integral part of his 'design revolution". The big oil companies knew long ago that humanity would ultimately run out of an adequate supply of petroleum and other fossil fuels, though coal may last a thousand years. That's why [...] the oil companies acquired control of the know-how on atomic energy as well as all the atomic plants and equipment paid for originally by the U.S.A. government. The power structure's only interest is in selling energy--and only energy that they can run through a meter. They're not in the least interested in anyone getting windpower--except themselves. Very rich men love having their sailing yachts wind-driven to Europe or the South Seas, but this is not for the people. People's power must be piped or wired to them only through meters. Parallels have occasionally been drawn between Bucky's vision and that of the Technocracy movement, with political activity considered largely unproductive and decision making left to scientists and engineers (in Technocracy's case) and "computer"s (in Bucky's case), and the knowledge of the finiteness of fossil fuels underpinning many of their recommendations. Bucky's world accounting system based on energy also has parallels in Technocrat thinking. Bucky predicted that the global energy grid would be operational by 1989. Like his prediction that we would see wide use of Geodesic dome cities and dwellings by 2000, this prediction has yet to materialise, but this hasn't stopped various groups of people continuing to promote his ideas and long term vision. Cosmically acceptable and effective decisions of humanity regarding [how to keep all humans and their ecological support system operating successfully on our vastly adequate daily income of solar atomic energy] will not be made by leaders single or plural, political or religious, military or mystic, by coercion or mob psychology. This post is the first in a 4 part series. Next up I'll look movement toward a 3 or 4 day working week. Following that I'll look at at how Bucky's ideas influenced modern day techie culture, via both the cold war technocrats and the hippie "back to the landers" of the 60s and 70s, with a review of Fred Turner's book "From Counterculture To Cyberculture". Cross-posted from Big Gav's Book Reviews. "One example used by Bucky was the two years Magellan took to sail around the planet in a wooden sailing ship in 1520. 350 years later it took a steel steamship two months. 75 years later a metal plane took 2 weeks to fly around the planet. 35 years later a space capsule, made of exotic metals, takes 1 hour to circle the planet." This seems like a very bad example. Each of those does not decrease the resources used...in fact, they increase the resources by 100 fold at each step, if not more. A steel steamship takes far more energy to create and sale than a wooden ship. A plane even more, and a space capsule uses immense amounts of energy to get into orbit. Physically they might seem smaller, but they consume far more energy both to create and propel. Well - its a bad example from the point of view of embodied energy - but it is a smaller object achieving the same goal far faster than the previous iterations. So much of the 'Complexity Theory' is coming to fruition and I think we draw to the logical conclusions of happiness, harmony and in a 'buckminster' era. Can not wait to read more of the 'buckminster' series! Thanks Chris - that really is a lot of Buckyism in one blog post. Thoughts of Bucky this morning. How about a 'pneumatic transport system' using air generated by direct and stored wind power. Seriously off peak wind and tidal storage is not a 'issue', just a resource to be managed. Well - yeah - that's one form of energy storage - not sure how efficient it is though ! Our energy problems are not from a lack of resources just how much of them choose to waste. Like PV solar and peltier waste heat electrical generation, efficiency is not a strong point, but a means to use energy that would otherwise be wasted. Great review of Critical Path. I'm reading the book now, and it is incredibly inspiring. I found that the ideas about the kilowatt-hour based currency would be great if energy production were decentralized and made available to families to produce energy, and make a living from their production of electricity.